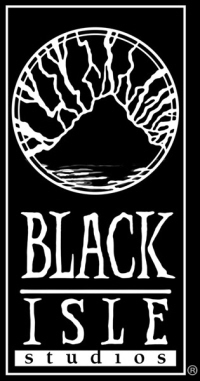 Interplay, publisher of some of the most acclaimed fantasy role playing games of all time – such as the Bard’s Tale series, Wasteland, Dragon Wars, Baldur’s Gate, Fallout, and Icewind Dale — has announced that the legendary development studio behind many of its most popular titles, Black Isle Studios, has reformed. Black Isle was owned by Interplay and created in 1996 by Feargus Urquhart. It was formed from the crack team of developers who had created Fallout. Over the next few years, they developed many hits, including Fallout 2, Planescape: Torment, and Icewind Dale. Working with a tiny outfit in Canada named BioWare, they also produced Baldur’s Gate and Baldur’s Gate II: Shadows of Amn. Interplay began to experience serious financial difficulties in 2001-2002, after publishing a number of high-budget failures such as Messiah and Kingpin. Black Isle was dissolved as Interplay imploded, a move that shocked the industry. All the employees were laid off on December 8, 2003. Their last titles were the poorly-received PC game, Lionheart, and Baldur’s Gate: Dark Alliance II for the Playstation 2. At the time they were dissolved, they were working on Baldur’s Gate III: The Black Hound, Baldur’s Gate: Dark Alliance III and Fallout 3, none of which ever saw the light of day. A nearly bankrupt Interplay eventually sold the rights to the Fallout series to Bethesda, who developed and released its own version of Fallout 3 in 2008. The closing of Black Isle was a serious blow to RPG gamers, and it marked the end of Interplay as a force in the industry. As someone whose all-time favorite games include Dragon Wars and Icewind Dale, I saw it as the end of an era. Interplay survived for most of the next decade by re-packaging its classic games, especially Fallout, Baldur’s Gate, and Icewind Dale, as well as their sequels. Most of the star developers associated with Black Isle, including Feargus Urquhart and Chris Avellone, are not on board for this new iteration. Urquhart and Avellone founded the successful Obsidian Entertainment (Star Wars: Knights of the Old Republic II, Neverwinter Nights 2). But Mark O’Green and Chris Taylor (designer of the original Fallout) have both reportedly returned. No announcement yet on what titles the resurrected Black Isle is working on. But I’m certainly looking forward to finding out. I have an old lap top that runs Windows 2000 so that I can still play Icewind Dale, Baldur’s Gate, and the others. The technical and creative elements that came together to make those games was an event on the same order of magnitude as a cosmic convergence. It took Black Isle, BioWare and TSR to make those games what they were. I am skeptical that that kind of magic can happen again. Besides, Bethesda has taken good care of Fallout. At least they re-released the Baldur’s Gate: Enhanced Edition, so you can play it on iPad. I can’t wait for Icewind Dale. > At least they re-released the Baldur’s Gate: Enhanced Edition, so you can play it on iPad. I can’t wait for Icewind Dale. Say what?? I had no idea they’d ported Baldur’s Gate to the iPad. Tell me more. How well does it play? I loved those games. I look forward to seeing what new stuff they have to put out. The Re-release got pushed back to November 30th, so I don’t how good it is, but I know some people who got to try the demo, and they can’t praise it enough. There’s even new content being written. I hope they do the other games as well. The adventures of Minsk and Boo must continue.